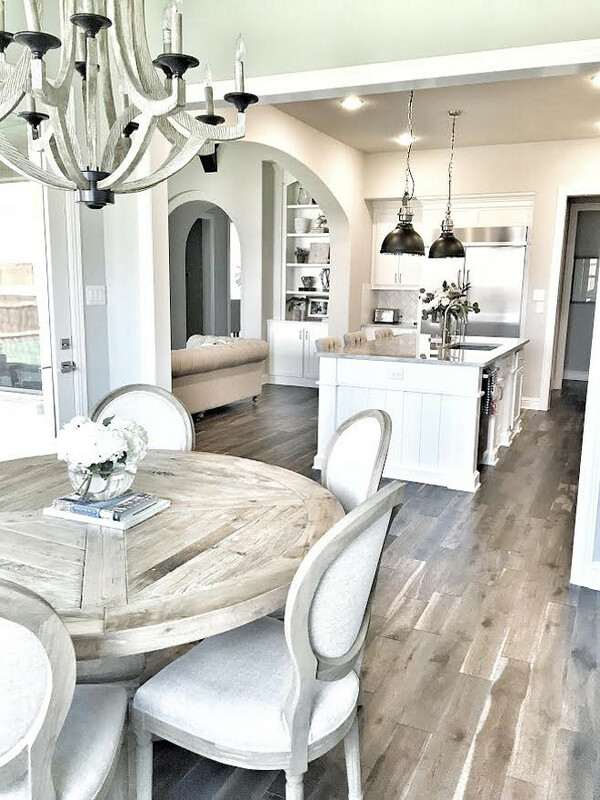 The idea of featuring beautiful homes and interiors from Instagram on the blog came to my mind after seeing a couple of homes that I fell in love with and Erin’s, from @mytexashouse, was one of them, so you can imagine how happy I am to have her here with us today. “My husband and I met when we were in high school and have been together ever since (22 years, married for 15 years). I’m a stay-at-home mom and a former teacher. We have 3 beautiful kids, a daughter who’s almost 11, a son who just turned 8, and a daughter who’s 4. We have lived all over the country, from Arizona, to Virginia, to California, and we’ve now been in Texas for 4 years. 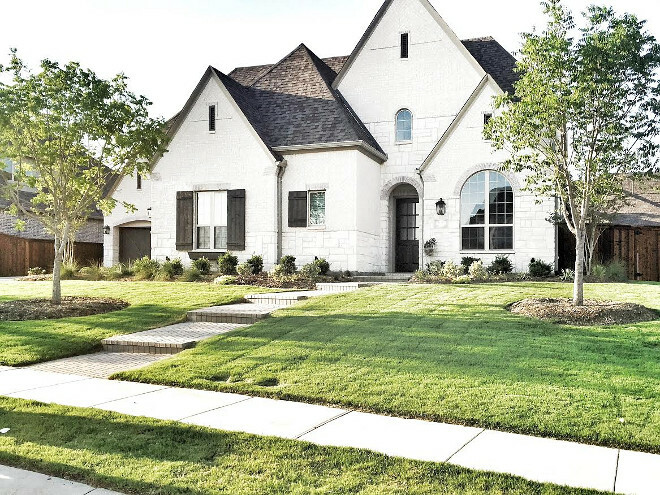 Since we’ve lived here we’ve moved even more, living in several different neighborhoods until we finally found the perfect fit for us in neighborhood in Prosper, TX. Prosper is a suburb north of Dallas. We love it because we feel like we live in the country, while being in the midst of the big city. We have amazing shopping, entertainment, and restaurants nearby, but we live near farms with cows and horses and have wide open spaces. 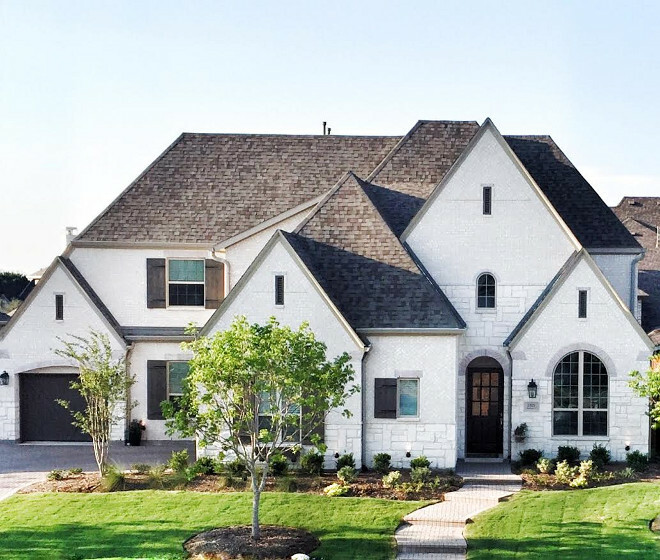 We found the perfect neighborhood for us in Prosper where we were able to get a larger lot, build a bigger home, have access to amazing schools and my husband could be near his top priority, the golf course…it was a perfect scenario for us. We were also drawn to our neighborhood because our builder, Huntington Homes, has a wonderful reputation and builds amazing homes. They allowed us to really customize the floor plan we chose, moving walls and increasing the overall size of the house. While we were building our home, which took an entire year, we lived in a small rental house in the same neighborhood. The build process was a long one, but I absolutely loved the design aspect to it. I got a lot of inspiration from others on Instagram and Pinterest. 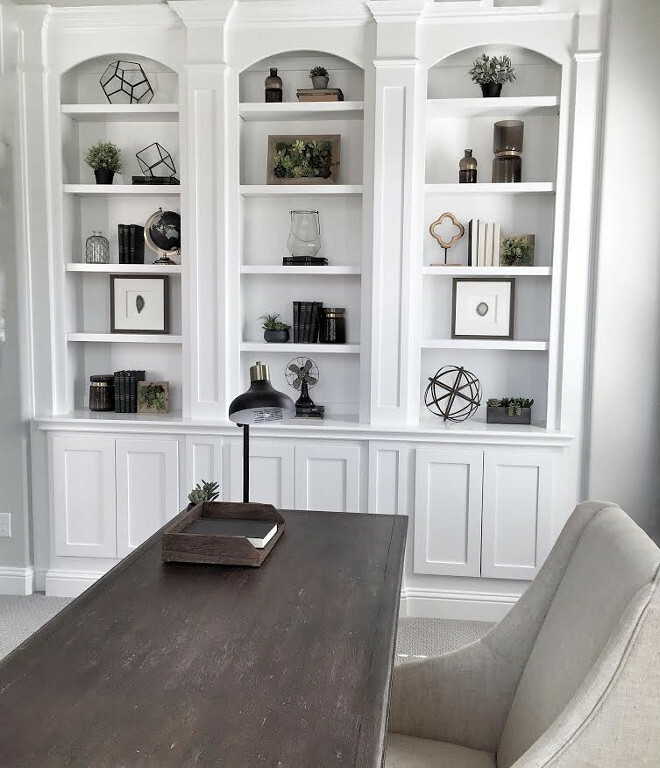 My goal with designing the house was to make it feel warm and inviting, have some current trends, but most of all keep it a very classic style that will stand the test of time. 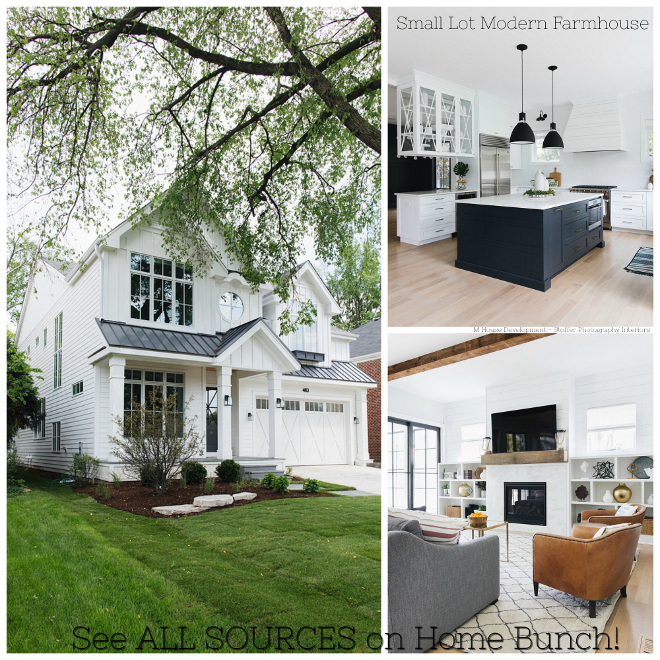 I would describe my style as modern farmhouse or rustic chic. I love mixing traditional and classic design elements and adding a modern twist. And of course I love neutrals! 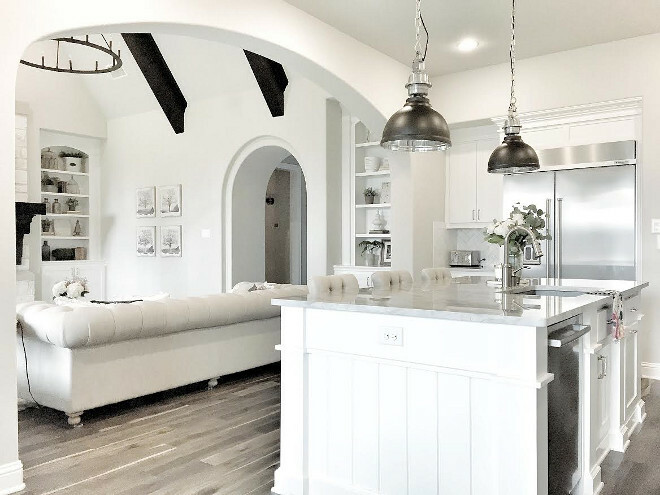 I just love the feel of a light and bright home. 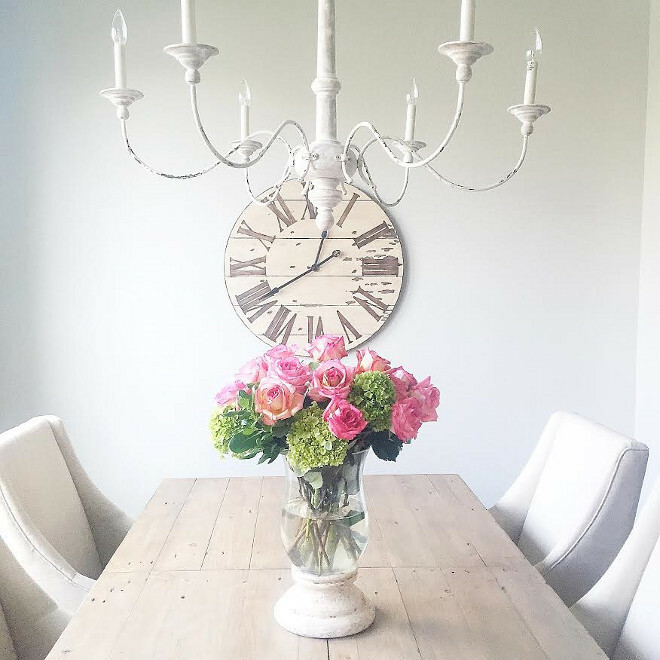 Seeing Erin’s home will certainly inspire you. Make sure to pin, save and share the images and save all of the sources shared in this post. Also, make sure to follow Erin on Instagram! She’s always adding new pictures! 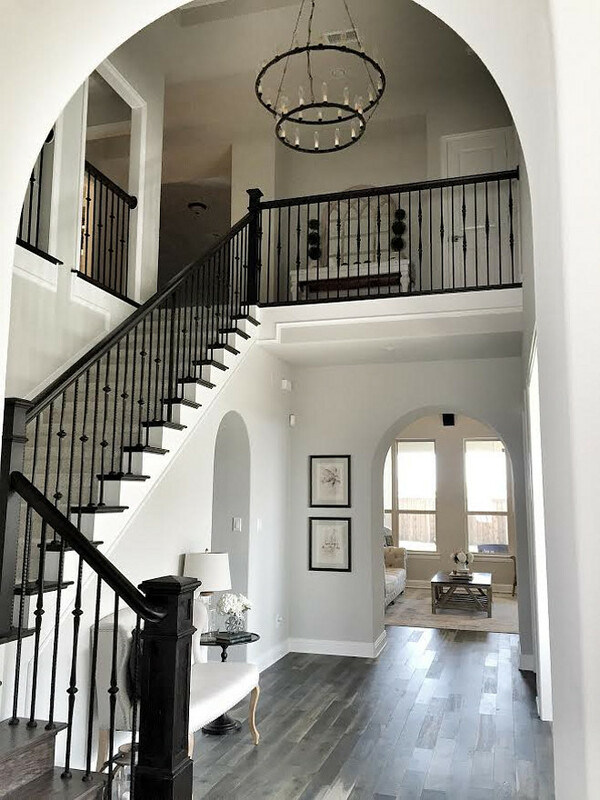 Erin’s foyer is enchanting! 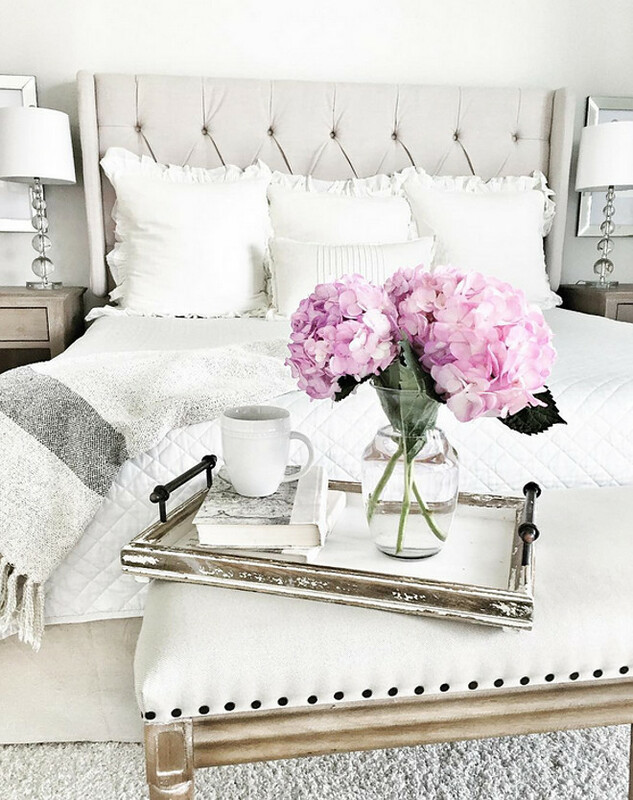 I love the neutral color palette her entire home carries. Paint color is “Sherwin Williams Repose Gray”. Wood Flooring: Kentwood Floors engineered oak wood floors. Style is called Oak Iron Springs and the color is Wild Thing. I love the calmness found in this French farmhouse dining room. Paint Color: Sherwin Williams SW 7015 Repose Gray. 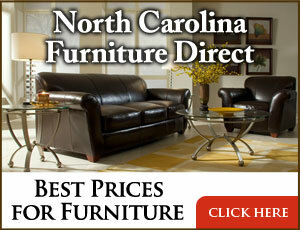 Table: Nebraska Furniture Mart by Four Hands Furniture. Buffet: Nebraska Furniture Mart by Four Hands Furniture. Rug: 6×9 Safavieh natural fiber area rug purchased from Wayfair. The distressed French chandelier is from Visual Comfort. 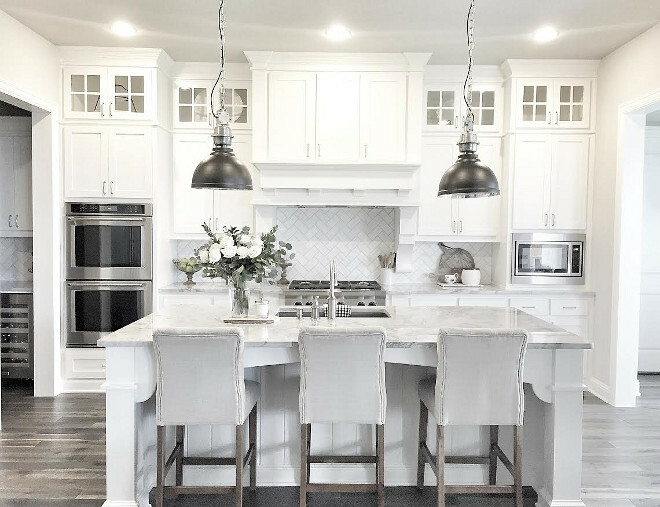 This is truly one of my favorite farmhouse kitchens I’ve seen lately. 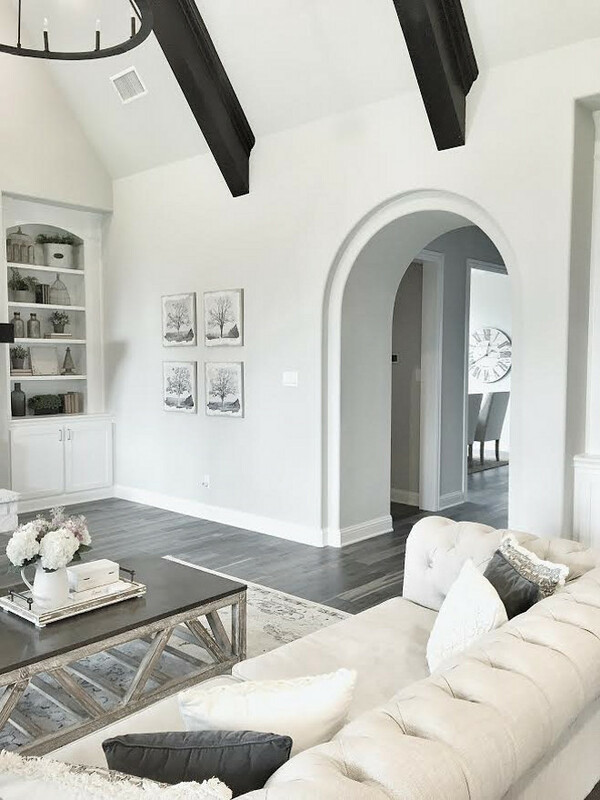 I’ve told Erin before how much I love every detail chosen for this space… isn’t it perfect? 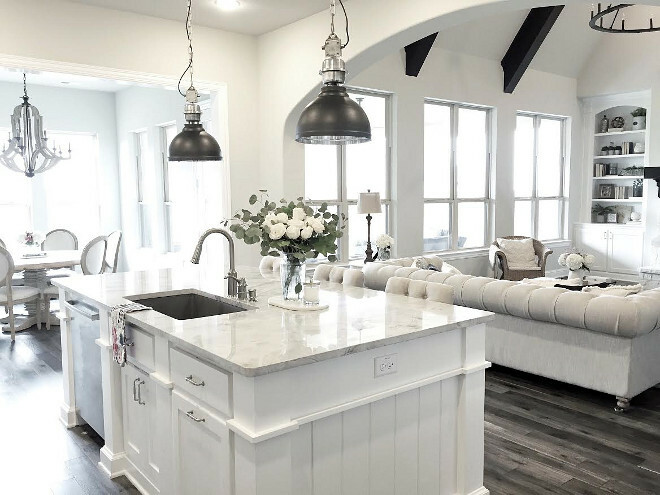 Cabinet Paint Color: Sherwin Williams Pure White. Wall Paint Color: Sherwin Williams SW 7015 Repose Gray. 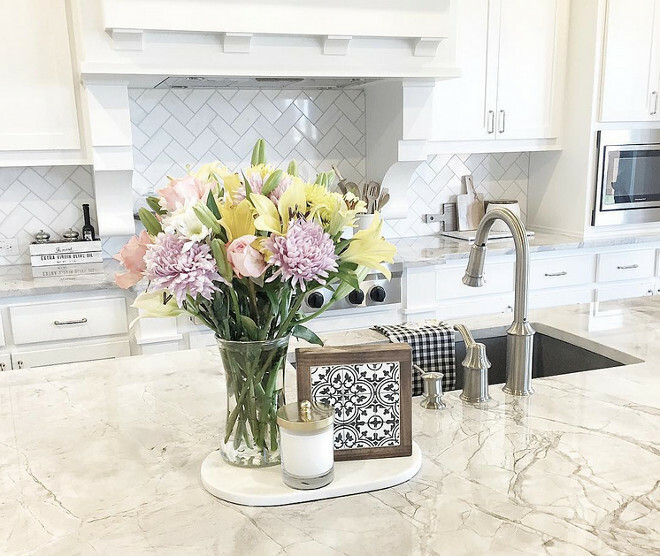 Backsplash is Daltile m313 contempo white marble 3×6 tile laid on herringbone. The grout color is platinum. Range is Kitchen Aid Professional 36″ six burner gas cooktop -All appliances are Kitchen Aid. The industrial kitchen lighting were hand picked at Magnolia Market in Waco, TX. Countertop is Superwhite Quartzite. Faucet is by Moen. The kitchen stainless sink is Blanco Silgranit single bowl sink in Metallic gray. Cabinet Hardware: Rusticware Traditional Double Knuckle Pull. I always prefer round tables over rectangular. Kitchen nook chairs: Restoration Hardware Vintage French round chair; wood stain: weathered oak drifted; chair fabric: Belgium linen in sand. Chandelier is Jeremiah Winton 12 light chandelier. The kitchen and the desk cabinets are custom made shaker style cabinets, painted “Sherwin Williams Pure White”. 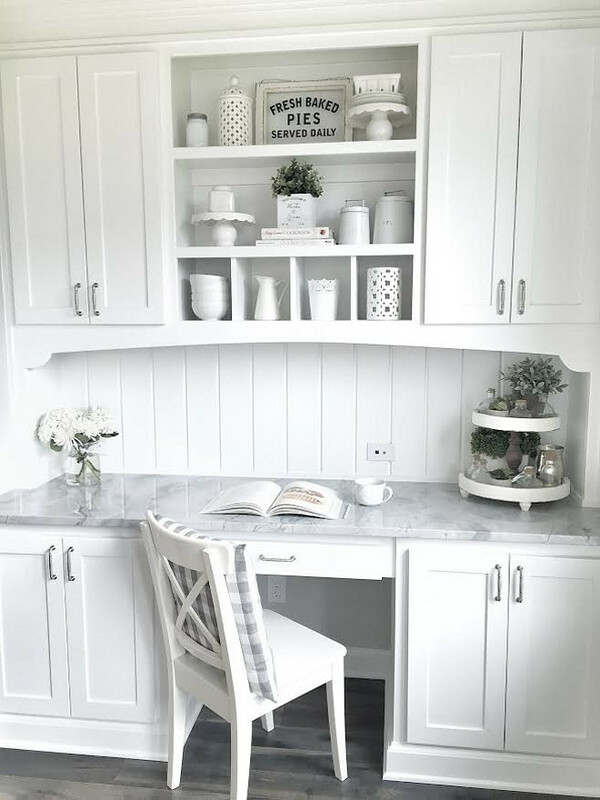 The kitchen desk countertop is Superwhite Quartzite. 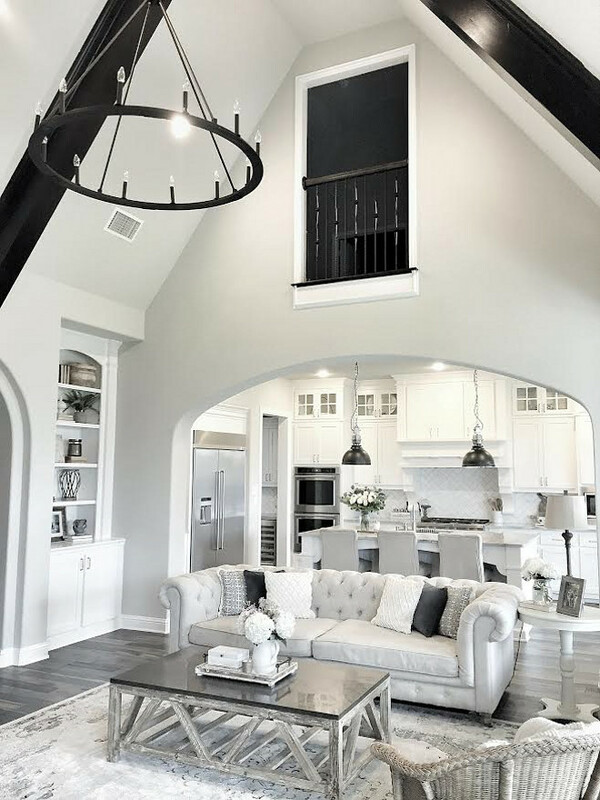 The gorgeous kitchen opens directly to a neutral living room with cathedral ceilings. The overall feel of this space truly impresses! The wall color is Sherwin Williams Repose Gray. Couch: Restoration Hardware Kensington sofa, in Perennials classic linen in Sand, 106″ long and 44″ in depth. Coffee Table: Nebraska Furniture Mart, Timeless Designs Old Fir and Blue Stone coffee table. Rug: 9×12 Rugs USA Treasures ZG13. Chandelier: Capital Lighting Pearson Chandelier. Beams and mantle: custom made and stained a dark brown/black color called Ebony by DuraSeal. 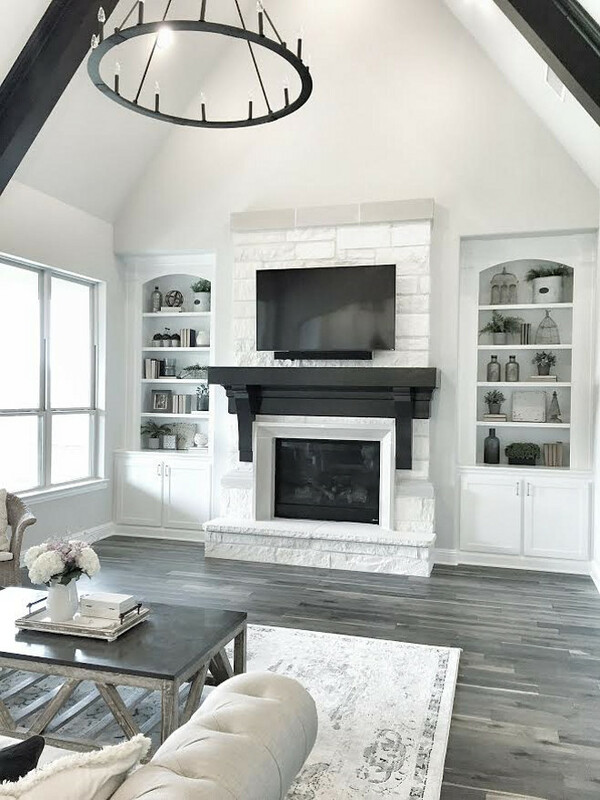 You could never get tired of a fireplace with white stone! The stone here is “Chopped Blanco Austin Stone”. 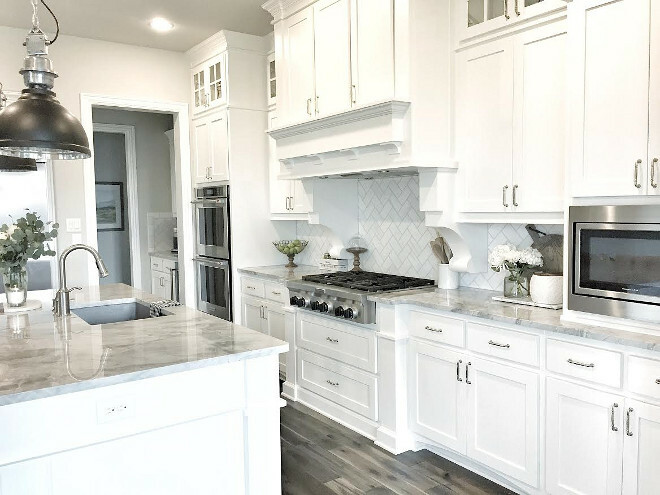 Trim and cabinets paint color: SW Pure White. 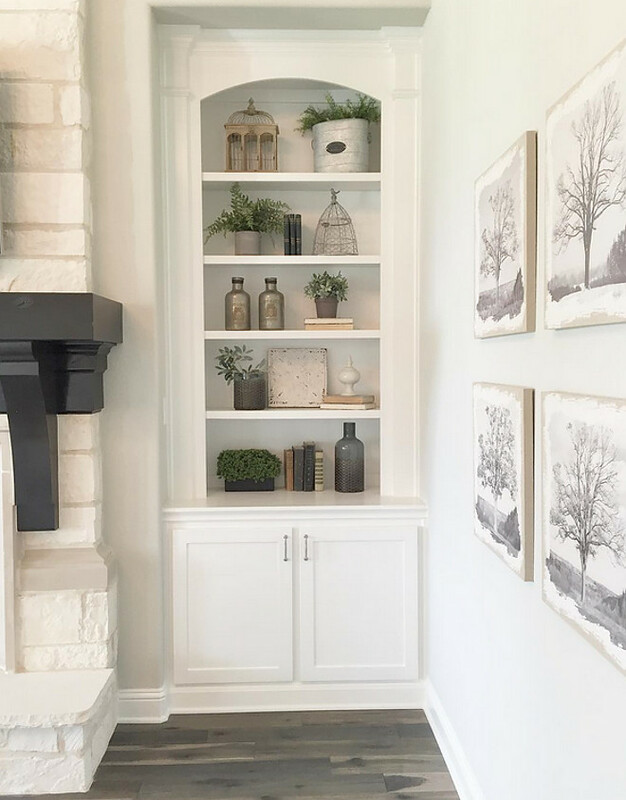 The living room’s shelves display beautiful, neutral farmhouse-style decor. Art on the wall is from Joss and Main. 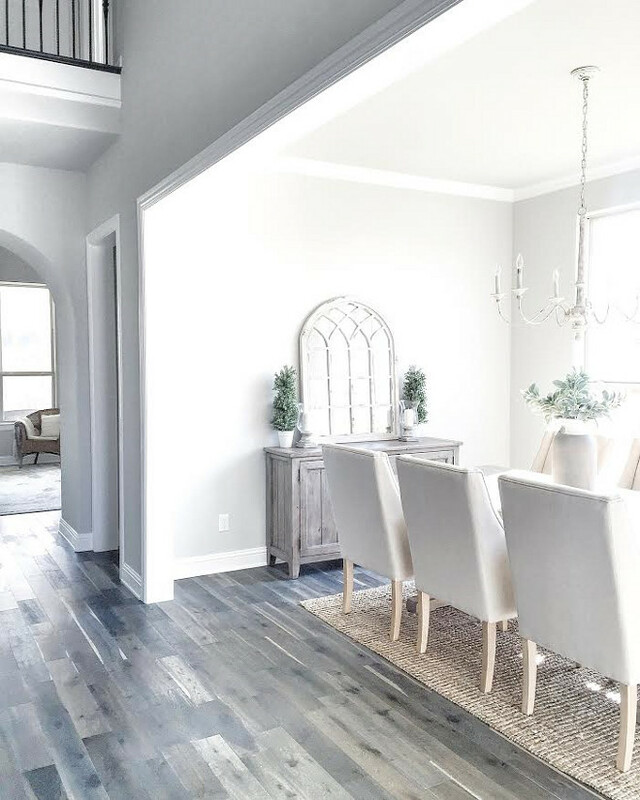 An archway connects the living room to the dining room. 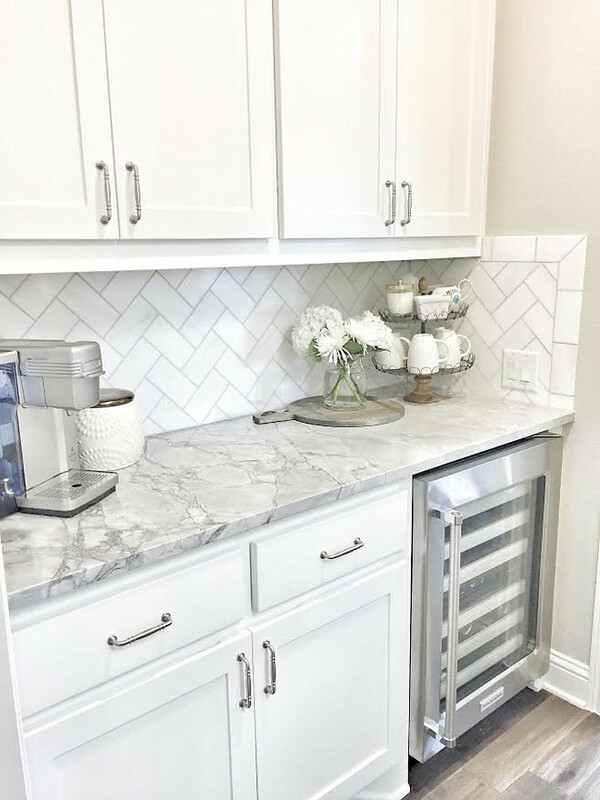 The butler’s pantry has the same elements found in the kitchen; white cabinets, herringbone backsplash and white quartzite countertop. 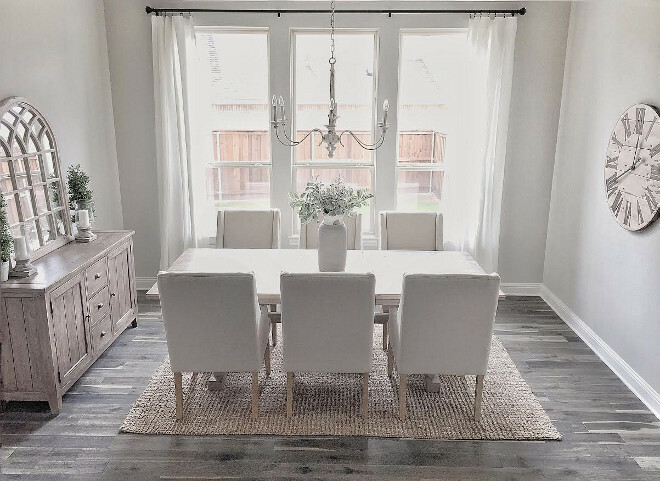 Carpet: Shaw carpets and floors Morovino II in Valley Mist. Desk: Restoration Hardware St. James Desk in Antique Coffee. 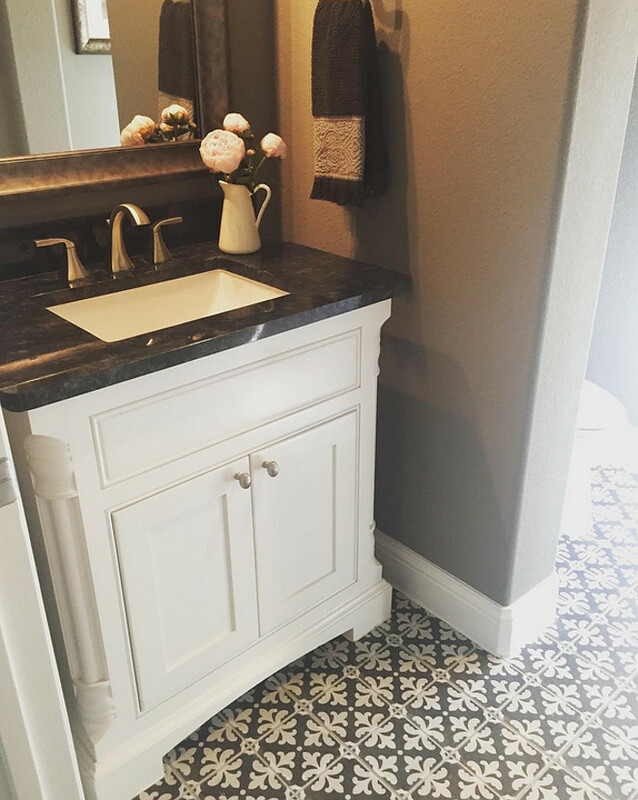 The black and white tile is ” Stone Peak Ceramics Palazzo Florentina Deco Tile”. Perfect Dark Grey Paint Color: “Sherwin Williams Dovetail”. Erin designed this desk for her kids to do their homework. Isn’t it great? 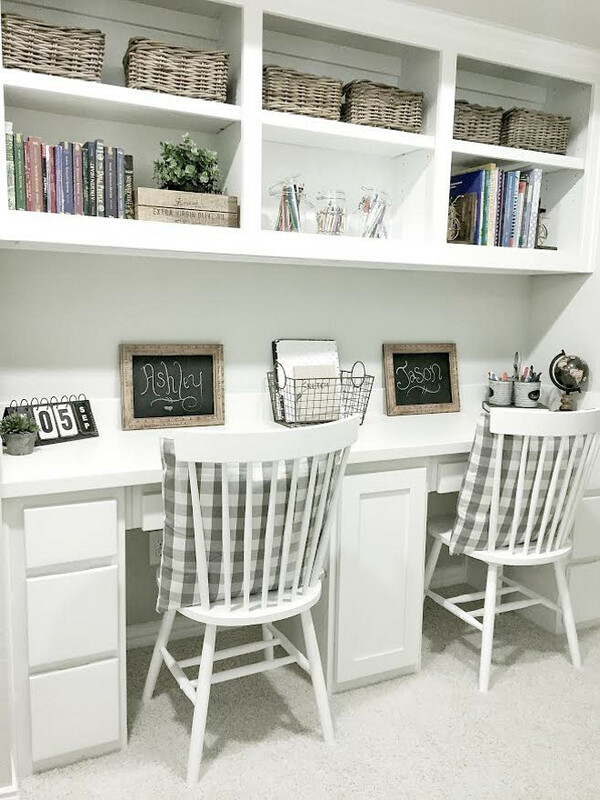 I love the checkered pillows and the storage baskets. Bed is from a local store in Dallas called Weirs. Chandelier: RH baby & Child. The dark grey cabinet paint color is “Sherwin Williams Dovetail”. Floor tile: Emser Grove Villa 6×24. 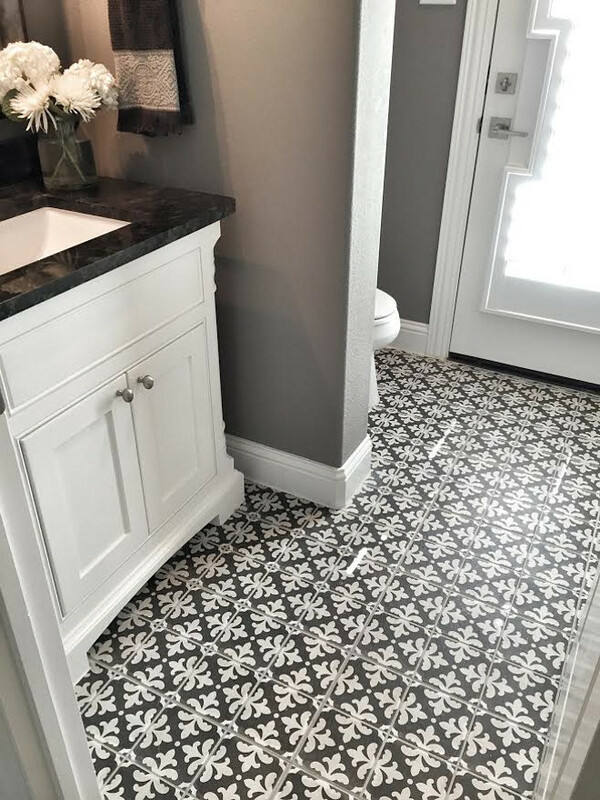 Wall tile: 3×6 white subway tile with platinum grout. Bunk Bed: Canyon Furniture Company. Faux fur bean bag chair: PB Teen. “My 4 year old daughter insisted on the purple wall color for this room so I searched for the most subtle, soft lavender color I could find. This is “Sherwin Williams Silver Peony” and I turned out to be exactly the color I wanted! Kids Table and chairs: Pottery Barn. 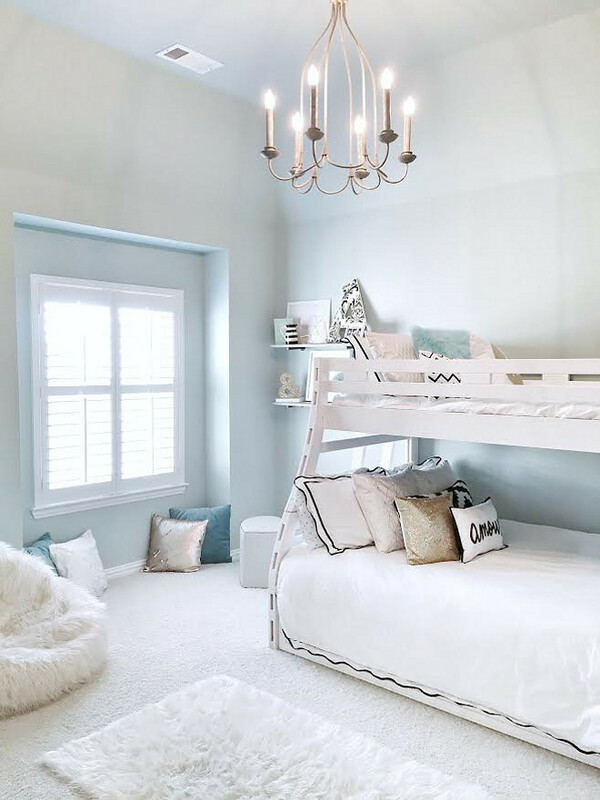 Kids Canopy: Pottery barn kids. 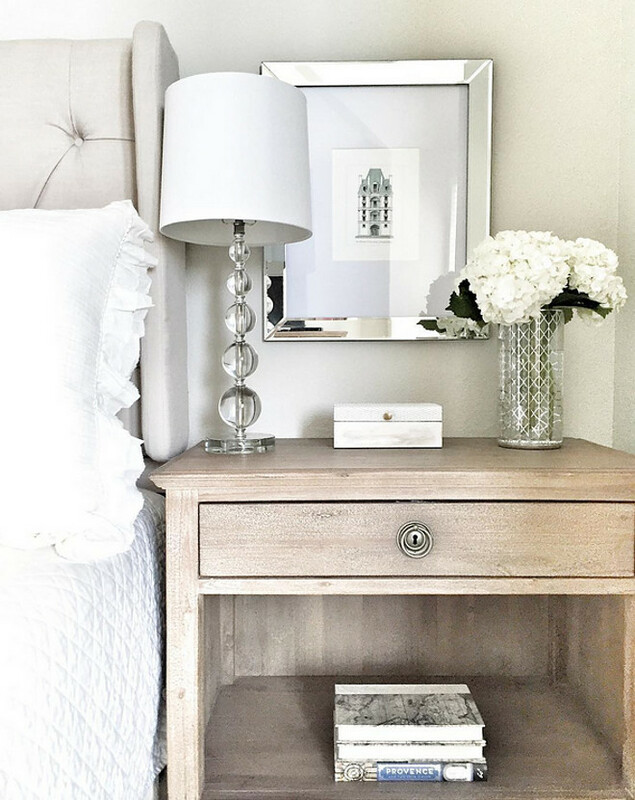 Nightstands are from Restoration Hardware. This room is so inviting and comfy! Headboard is from Wayfair. The small white sequin pillow is from Target. 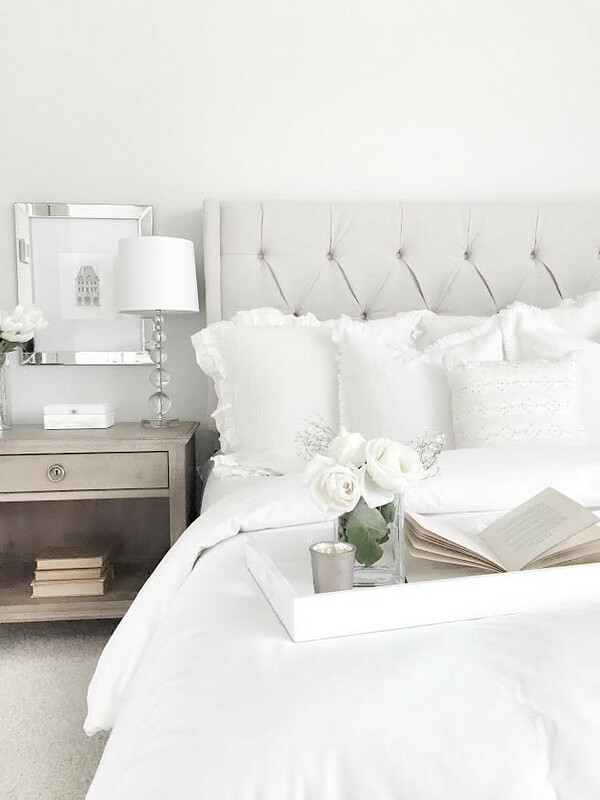 Small white fringe-edge pillows: Homegoods. 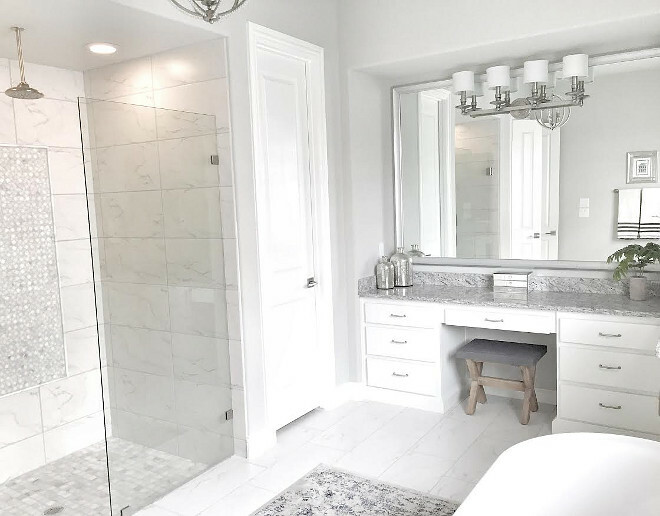 The master bathroom has a very inspiring layout. 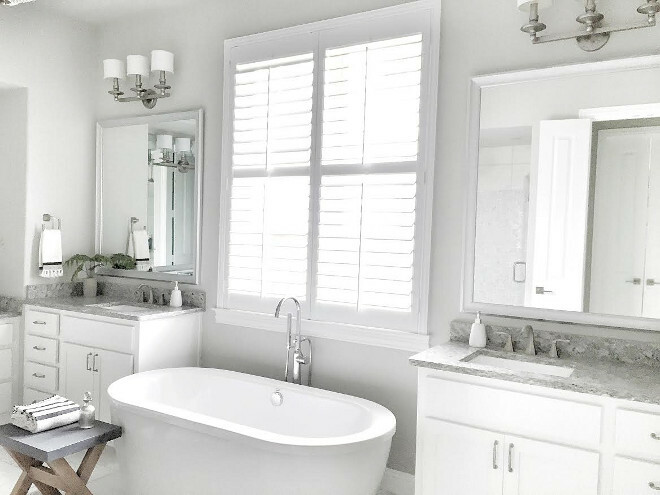 Bathroom paint color is Sherwin Williams Repose Gray. 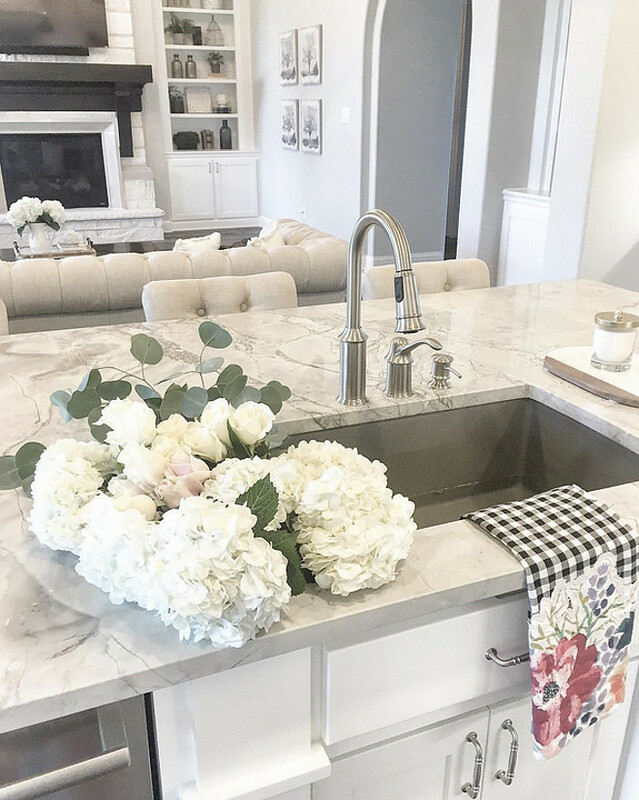 Counter tops: Moon white granite. Vanity lights: Capital Lighting Midtown. Bath tub: American Standard Cadet freestanding tub. Floor and shower wall tile: American Tile and Stone white carrera porcelain 12×24 tile. Shower accent tile: Emser winter frost marble geometric mosaic mesh tile. Shower floor tile: Emser winter frost marble 2×2 tile. Front door features 9 divided rain glass squares and is stained royal walnut. Stone: Chopped Blanco Austin stone. Online Holiday Shopping = More Options & Less Driving! Luciane- My day is always brighter when it starts with one of your posts. 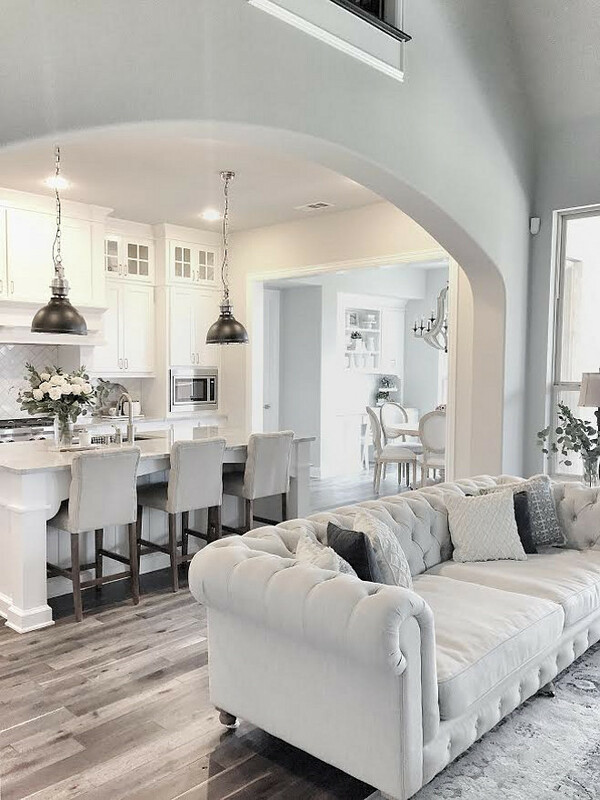 The homes you feature capture a casual elegance where I can imagine my family (including our two grandchildren) spending special time, laughing together, and making memories. 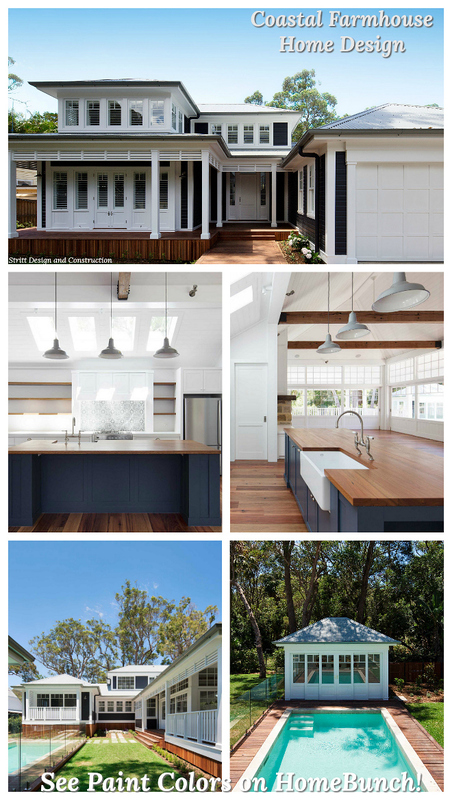 I’ve also used several of your posts for inspiration as we design new spaces for our lake home. Thank you for your dedication to your blog and sharing the fruits of your design searches with all of us! Many best wishes to you. Your comments ALWAYS bring a smile to my face. Know that I honestly appreciate your kind words and it makes me so happy to know these posts are helpful to you. Your comment really made my day. I work hard on this blog for people like yourself — that not only is appreciative, but also get inspired by this space. I Absolutely Love these homes they are all so Gorgeous . Hello Luciane, I’m so excited to have found you on Pinterest. We just bought a second home, and it’s a 1929 Tudor in Dallas. We want a gray contemporary theme. 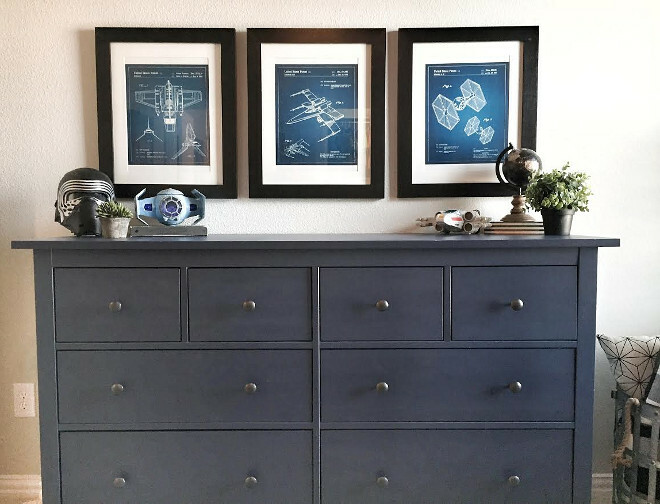 I’m trying to find the perfect gray for the walls. 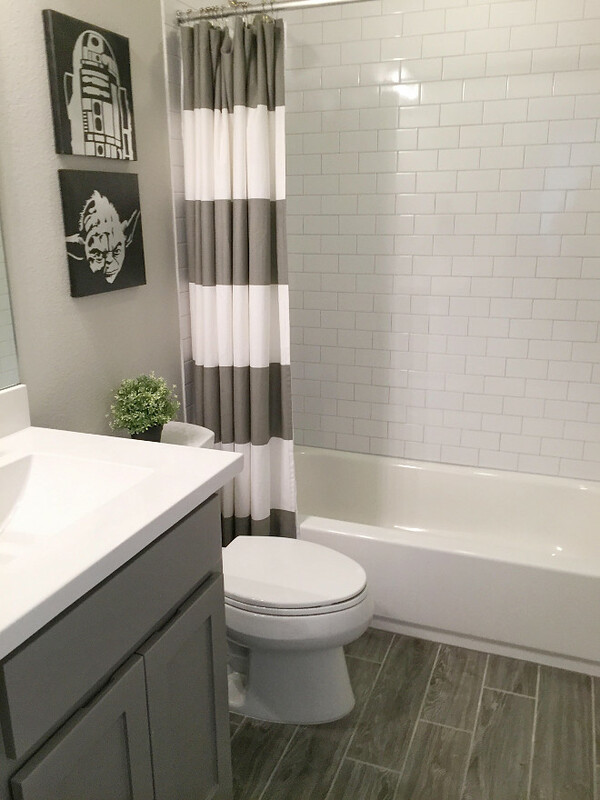 I’m thinking a darker gray for the bathrooms. And the kitchen island, a dark gray. Can you recommend a palette? I’ve pinned so many of yours, that I’m dizzy! You are wonderful and I love your inspiring posts! I have several posts on paint colors linked a the end of each post. There are many gray colors I love, we just need to find the ones that work best w/ your light. I offer color consultation. Let me know if this is something you’re interested. I love the colors and furniture! It is similar to the house we built a couple of years ago, but we are still finishing up on the décor. 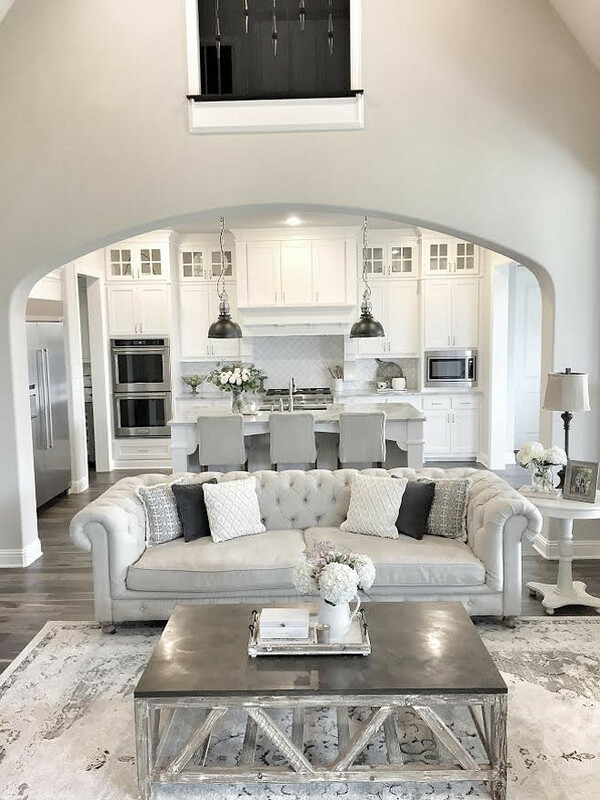 Do you know where the white side table next to the sofa is from? I have been looking for something like that. Thanks! I don’t have this info, but try to contact Erin on Instagram. She always answers to the questions. Hi, I was wanting to stain my banister the same color as the house here, but it all it says is Wasabi. When I inquired about Wasabi to Sherwin Williams, they told me it was a green stain. Do you know the brand of this Wasabi stain? 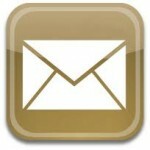 I will forward your message to Erin. The homeowner just heard back from the builder and the correct color is Ebony by Duraseal. I am sorry I didn’t have the right color at first. Where is kitchen cabinet hardware from? Hardware is Rusticware 724 6 Inch Center to Center Handle Appliance Pull, Iron. I was wondering the name or colour of the bench in the master bedroom, i have been looking for it online and cannot find it. I love these photos and the master bedroom is beautiful! I’m in love with this house! Especially the master! 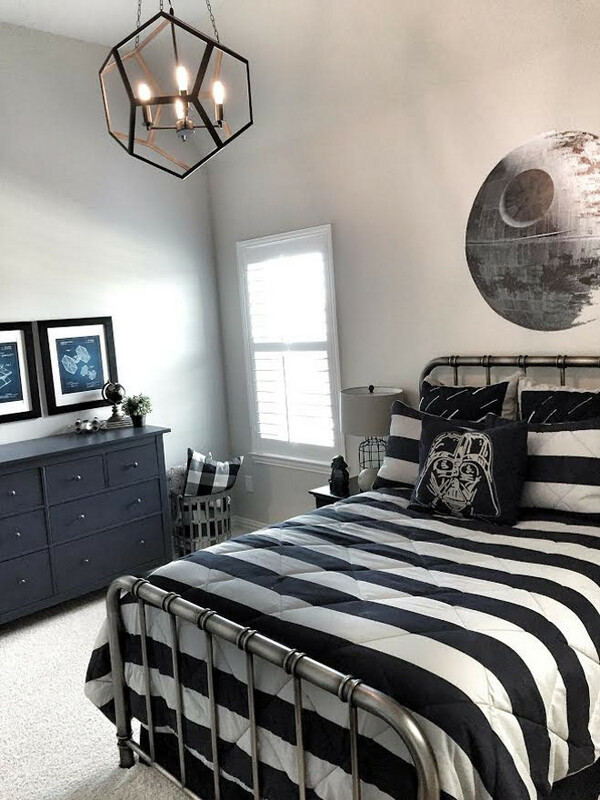 We just moved into a new house and I was to recreate this master bedroom. I know the bed is from wayfarer but you you know the exact one? TIA! I have a question about the floors. I was looking for this floor and in the showrooms I visited the Oak Iron Springs (Wild Thing) is much darker and also more brown. Is the color listed correct and it just looks more gray on the site? Thank you in advance. Omg I’m in love with this room and I wanted to recreate the master bedroom. I was wondering where I can find the bench and under what color is it found? 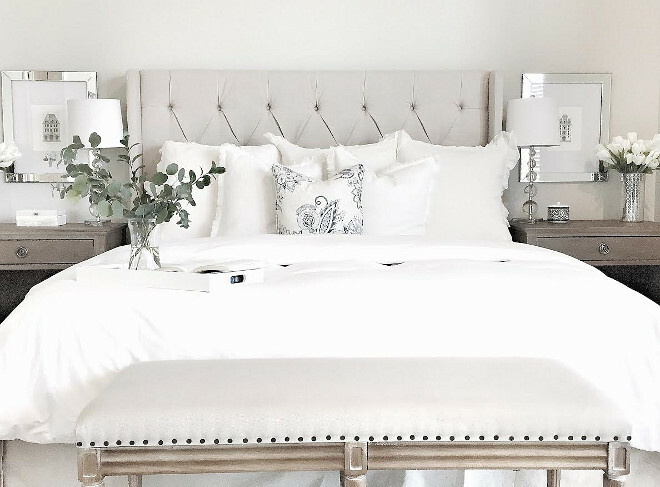 I know the bed is from wayfair but I would be so happy if you could attach the link below or let me know exactly where I could find it. Thank you so much! I love your kitchen table for NFM! Do you remember what the name or style of it is? Hi! I’m interested in your floorplan. Who built this home? 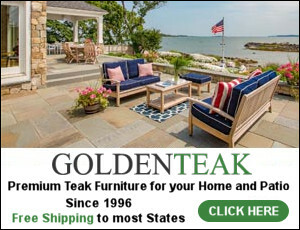 Do you have the brand of the kitchen table? I looked on NFM website but didn’t see anything that looked like this one. Thank you!! 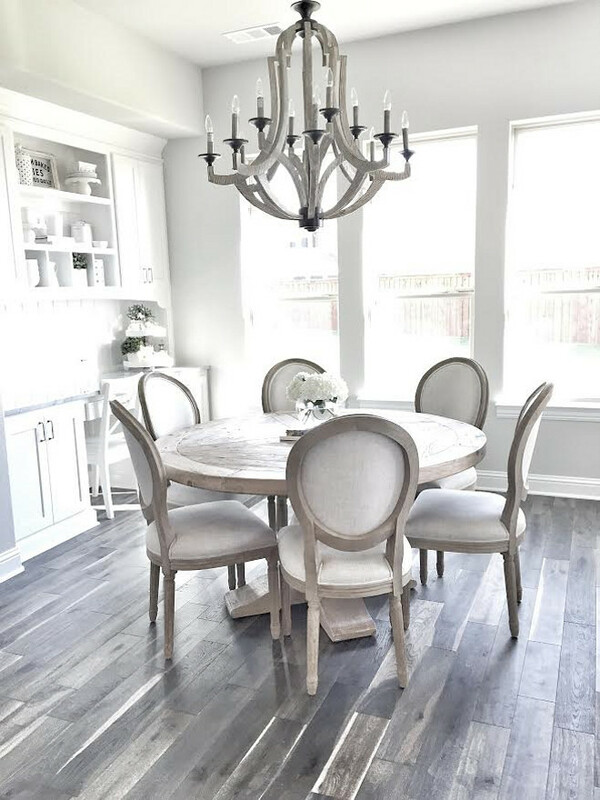 Hi, I was looking for the name of the round gray wooden kitchen table purchased you said that was purchased from Nebraska Furniture Mart– I looked on their site, but can’t seem to find it. Are you able to provide the specific name?